Many law firms are finding it a challenge to recruit and retain millennial attorneys, and most realize they need to figure it out in a hurry. Recent studies show that by 2020 half the workforce in the US will consist of millennials, and that number grows to 75% by 2025. As a result of these statistics and others, we stress to clients that when it comes to recruiting, few things are as effective as video. The use of video to draw potential candidates to an organization clearly puts a human face on what makes the firm a great place to work, the kinds of projects candidates can expect to work on, the company’s employee diversity, distinctive cultural aspects and more. Video allows a law firm to tell their story and highlight their unique culture in a compelling way other mediums simply can’t. Recently, respected New Hampshire firm McLane Middleton asked Stackpole to help them reach millennials through video, and we were only too happy to oblige. McLane has been named one of America’s leading law firms in Chambers USA: America’s Leading Business Lawyers, and The Best Lawyers in America® publication recently endorsed 38 of the firm’s 105 attorneys. In addition to the ability to work on some of New England’s most high-profile corporate cases, the firm offers candidates a culture that encourages great work, career advancement, diversity, work/life balance and more. The Stackpole team was confident that a beautifully shot video where attorneys tell of their relationships and positive experiences with McLane would accomplish that in a memorable way. 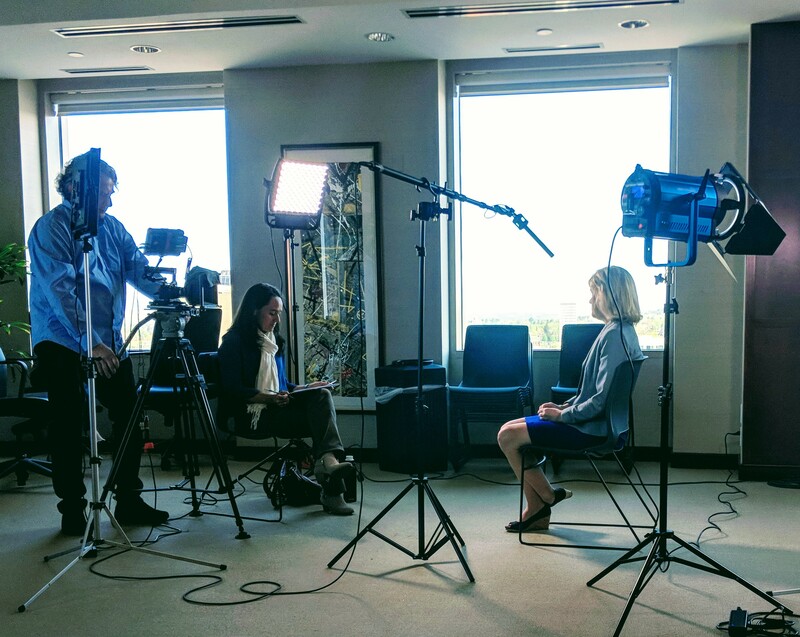 Prior to filming, the Stackpole team prepared participating attorneys with carefully crafted questions designed to elicit natural, convincing and compelling responses. Each shared what it is that makes McLane special to them and offered new hires a glimpse of what they could expect should they be fortunate enough to receive an invitation to join the firm. McLane Middleton is special and so is the video. You can see both for yourself here. If you’d like to learn more about Stackpole’s video capabilities and expertise, contact us today.